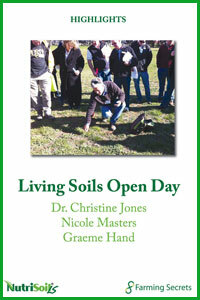 Dr Elaine Ingham is highly recommended to any farmer who wants to develop and fully understand how to get healthy, living soils. 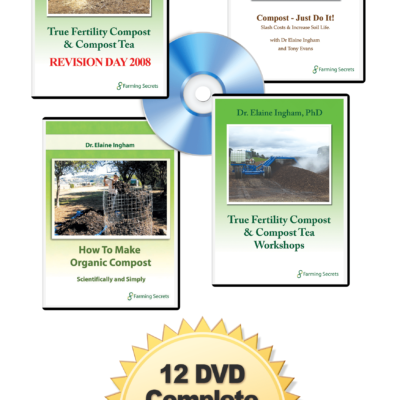 Do you want to increase the viability of your farm dramatically? 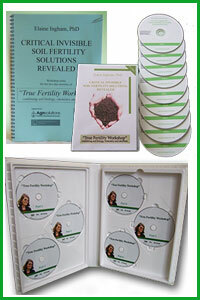 Then buy the DVD set and sit in the comfort of your own home and watch and listen as Elaine explains and demonstrates. Stop the DVD whenever you want to take notes. Why do we need healthy soil? 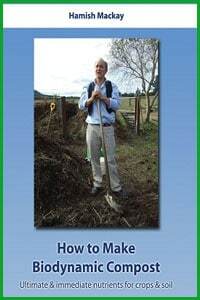 Soil structure – who builds what parts in the soil? 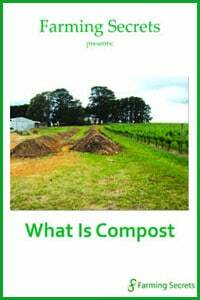 Fertiliser, pesticide and chemical use – and farm run off Compost and its application. Compost Tea: What is it? What is the Soil Foodweb & what is biological farming? Some examples. The use of Nitrogen is rapidly increasing but what is the effect on the soil?